Are you currently in a steady relationship with bits and bytes even though your first love was wires and volts? Then building the Internet of Things be the truce that would bring them together. IoT is nothing new. The concept of connecting 'things' has been in existence for decades, since the early days of internet. After all the 'Internet' which was intended to connect machines around the world can be traced back to 1960s to the days of the ARPANET with the TCP/IP stack following a decade later in 1970s. Therefore its all safe to say that people have been connecting 'things' for longer than most of us have been alive. The 'things' which used to be mainframes spanning several floors have shrunk in size millions of times. The advancements in electronics have been tremendous in the past decades which has enabled miniaturization to a degree which would have been unimaginable during the early days of the internet. This, along with drastic reduction in costs have made it possible to put electronic gadgetry in every nook and cranny. Now you see that the 'things' we are talking about range from your seemingly innocent toaster to huge industrial process control systems. This is where the true advantage of connecting 'things' lies. Enabling communication and making them talk with each other would yield fantastic new opportunities that have never been thought possible. This is when things start to get tricky. The 'things' we have now are no longer number crunching power hungry giants like the early days. Most of them are humble, power sipping devices conveniently tucked away from view. Connecting these 'things' are not trivial and there is a whole gamut of technical and economical hurdles to be overcome. At present, connecting devices over large areas can be only achieved using proprietary wide area networks like LoRa, SigFox or by using gateways which back haul to and from low power local/personal area networks like WiFi, BLE to other wide area networks. The former approach requires purchasing expensive gateways or living with miserable low data rates while the latter becomes a nightmare in large deployments. 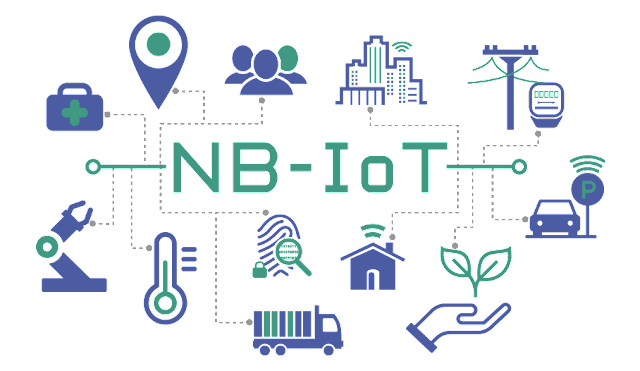 NB-IoT, on the other hand is completely deployed and operated by a telecom service provider - people who already look after your voice and data connections. Therefore it is safe to assume that you can get reliable carrier grade service without the headache of installing and operating the network infrastructure which by no means is an easy task. This means that now you are operating your IoT network on a GSMA standardized licensed frequency spectrum with carrier grade reliability. NB-IoT helps you to connect 'things' in places where you never thought possible. Its ability to work with low bandwidths at low data rates enables it to perform some tricks like repetitive transmission which helps to provide connectivity for devices for long distances. The specifications suggest a +20dB increase in link budget compared to GPRS. This would be specially useful in reaching underground and penetrating dense vegetation. NB-IoT is designed to carry low throughput traffic intermittently. Therefore its creators designed the underlying radio layer of the network to be as simple as possible keeping in line with the basic concepts of a LTE radio bearer. The good news is that this makes NB-IoT chipsets which make up the modems which go into 'things' much cheaper than existing LTE or even GPRS chipsets. Even after less than two years of it standardization, NB-IoT modems are giving even GPRS modems a tough competition in the price department. The future is expected to be pleasant for device manufacturers in this aspect. And so the list goes on. 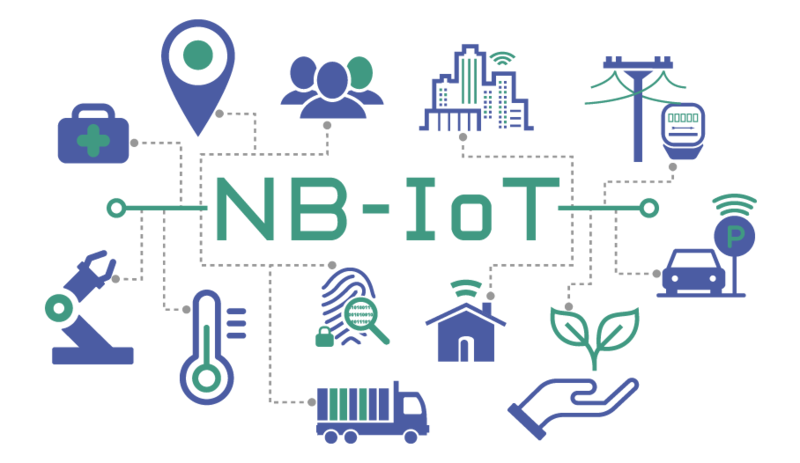 In a nutshell NB-IoT is a new radio network layer operating along side todays GSM, HSPA & LTE networks to provide connectivity and put the 'Thing' in the Internet of Things!